You are a person who loves the world of fashion and unique styles in the world? Want to show off your talents and design a variety of eye-catching fashion? 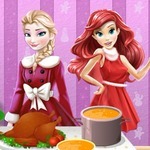 All will have in Disney Princesses Flower game online at abcya3 club. With bright graphics and exciting gameplay, I believe the game will bring you many relaxing and refreshing moments. 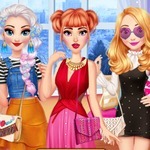 In particular, if you are a fan of fashion games, you should not miss the opportunity to explore this game. 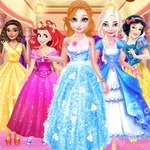 In this beautiful kingdom, you will be a talented and professional designer and your main mission is to choose the best outfit for there princesses. 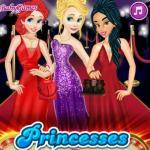 With 3 princesses, you should choose different fashion styles to make them stand out. The theme of this sweet style collection with the combination of flowers in four seasons. 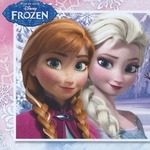 You should build a sweet and lovely fashion style for every princess. 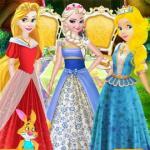 With each princess, you will have many different choices in fashion products such as hair styles, skirts, jewelry and shoes. Especially, with each item, you will have many choices in colors, shapes and different styles. There are many colorful dresses with distinctive styles and gorgeous jewelery. 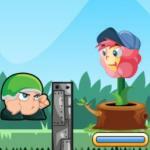 You can play the game by using your mouse or tap directly on the screen. Hope that you will laugh happily every time!